Pasadena’s Department of Planning and Community Development is recommending a $10,639 Commercial Cannabis Permit Processing Fee in accordance with the ordinance allowing a limited number of cannabis or marijuana retailers, cultivators, and testing laboratories to operate within specific zoning areas in the City. The ordinance, which was put in place after Pasadena voters passed Measures CC and DD on the June 5 ballot, takes effect on January 1, 2019. Apart from the permit processing fee, the Department said a Commercial Cannabis Application Fee, in the recommended amount of $13,654, will also be levied from interested cannabis business applicants. The City will allow applicants a 30-day application window within which they would be required to file a complete application and pay the necessary application fee. The application fee can be an additional $10,639 . The application fee is calculated based on direct City staff time and resources necessary to establish the application materials, review applications submitted for completeness, and scoring of applications against established evaluation criteria using an independent panel. Consultant costs are also included to assist with evaluation of the applications where subject matter expertise is not available with in-house staff. Costs that were incurred to develop and enact the ordinance are also factored into the fee amount, the Planning Department said. To have the fees in place by January 1, the City Council will need to amend the fiscal year 2019 General Fee schedule and add the commercial cannabis fees. The Planning Department is recommending that the City Council on Monday adopt a resolution to that effect, an Agenda Report for Monday showed. Under the ordinance, Pasadena allows three types of cannabis business licenses: retail, cultivation, and lab testing. A Retailer License would allow the holder to operate up to six commercial cannabis businesses, where cannabis and/or cannabis products will be offered for retail sale, to include deliveries as part of retail sale. A Cultivation License would allow up to four locations where cannabis is planted, grown, harvested, dried, cured, graded, or trimmed – or any combination of those activities. A Testing Laboratory License would allow the holder to operate up to four locations – a laboratory, facility, or entity – that offers or performs tests of cannabis or cannabis products. 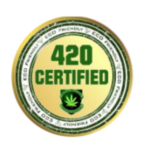 Each location shall be accredited by an independent accrediting body and licensed by the California Bureau of Cannabis Control. Aside from amending the General Fee Schedule, the Planning Department said potential amendments to the zoning map may be presented to City Council for consideration. After land use approvals, a cannabis business operator would be required to obtain any other relevant approvals, including those required by the Department of Public Health Department. 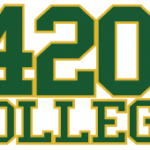 Once those approvals are granted, and the operator obtains a business license from the City for tax revenue collection purposes, the operator would then be eligible to complete the State’s commercial cannabis license process and begin operation. The Planning Department said the City plans to host a workshop on November 13, in preparation for a January 2019 launch of the 30-day commercial cannabis application window. The City has engaged MGT Consulting Group, a financial consultant, to conduct a fee service study. The firm has experience with a number of local governments who have implemented cannabis regulations and programs, the department said.